Marketo sits at the center of marketing operations to orchestrate multi-channel engagement enabling marketers to communicate and gain insights through powerful marketing automation capabilities and to deliver the goods to Sales. 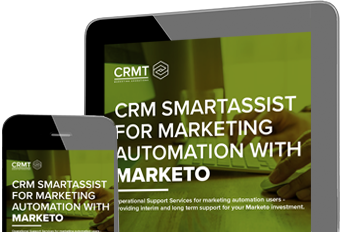 Marketing automation by Marketo has seen CRM Technologies rapidly expand its Marketo consulting services and platform technical capabilities and today as a certified Marketo partner we’re supporting a global enterprise customer base. Marketo's platform capabilities have grown significantly over the past five years to become a true challenger in the marketing automation space as a best-of-breed provider. Its explosive growth brings modern marketing to life equipping marketers with the ability to personalize, nurture and convert more latent demand into qualified buyer interest. Lead scoring, prospect insight and lead routing deliver the value to Sales. Application Delivery Networking (ADN) technology.